Nigeria has over 120 million people at risk nationwide for the mosquito borne parasitic disease, lymphatic filariasis. The most populous country in Africa follows only India as far as endemicity. Last week, the Carter Center announced after years of work, two states, Plateau and Nasarawa, have eliminated lymphatic filariasis as a public health problem- an incredible achievement. Epidemiologist for health programs with the Carter Center, Gregory Noland, Ph.D. joined me to talk about the disease, the partners and the work that went into this success and what’s next with the Carter Center and the lymphatic filariasis battle in Nigeria. 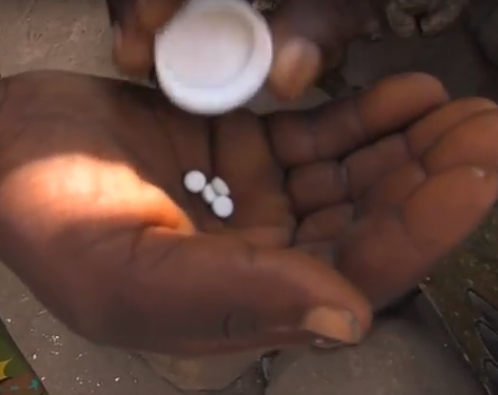 A person receiving medication for LF in Nigeria.